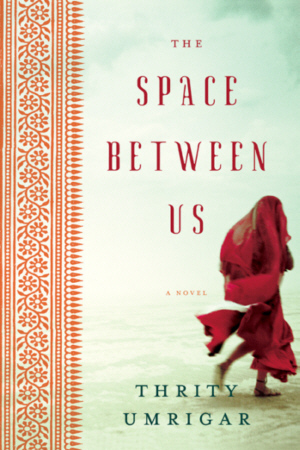 Set in Bombay, The Space Between Us is a wondrously imagined, emotionally rich snapshot of modern India. Thrity Umrigar shows how the lives of rich and poor are intrinsically connected yet vastly removed from each other—captured in the lives of two achingly real women bound by friendship and loss, yet separated by blood and class. Sera Dubash is an upper-middle-class Parsi housewife whose opulent surroundings hide years of disappointment and shame. A widow, she spends much of her time and energy fretting over her pregnant daughter, Dinaz, a kindhearted, educated professional, and her charming and successful son-in-law, Viraf. Bhima, a stoic illiterate hardened by a life of despair and loss, has worked as a domestic in the Dubash household for more than 20 years, cleaning furniture she is forbidden to sit on, washing glasses from which she is not allowed to drink. Cursed by fate, she sacrifices all for her beautiful, headstrong granddaughter, Maya, a university student whose education—paid for by Sera—will enable them to escape the slums. Yet a crisis will test the ties that have united them—the pain, loneliness, love, and hope—and force them to reconcile their true loyalties. Poignant and compelling, evocative and unforgettable, The Space Between Us is an intimate portrait of a distant yet familiar world. A journalist for 17 years, Thrity Umrigar has written for the Washington Post, Cleveland Plain Dealer, and other national newspapers and regularly writes for the Boston Globe’s book pages. She teaches creative writing and journalism at Case Western Reserve University. The author of the novel Bombay Time and the memoir First Darling of the Morning: Selected Memories of an Indian Childhood, Umrigar was a winner of the Nieman Fellowship to Harvard University. She lives in Cleveland, OH.